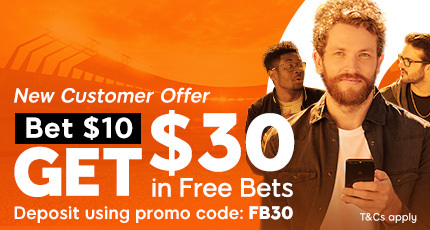 For the latest German Bundesliga tips, news and betting markets, 888sport is the place to be. With up-to-date markets on German football, accessibility has never been easier for 888sport customers. Bet now via a mobile device, tablet or laptop – there are a plethora of betting odds on the Bundesliga. 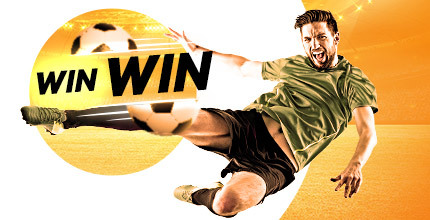 Whether you enjoy long-term, season long bets or prefer betting on specific games, we have you covered – 888sport is the best place to get involved in German Bundesliga betting! Germany’s top flight was founded in 1963 – some 30 years before the establishment of the English Premier League. Each year, the top 18 teams in the country compete for the title, with the bottom two dropping into the 2. Bundesliga. The 16th placed team in the top flight plays a playoff game against the third placed team in the second division to determine who plays in the Bundesliga for the following campaign. 888sport do also offer various odds on 2. Bundesliga and other German competitions. The DFB-Pokal tournament is the German equivalent of the English FA Cup and this is popular with bettors around the globe. In 2017/18, Fortuna Dusseldorf were crowned champions whilst FC Nurnburg were also promoted after finishing second. Unfortunately for Holsten Kiel, they fell short against VfL Wolfsburg in their pursuit of Bundesliga promotion. 54 clubs have competed in Germany’s elite club competition since its formation and Bayern Munich have been the most successful team by some distance. The Bavarians have won 27 Bundesliga titles, lifting the trophy in each of the previous six seasons. Borussia Monchengladbach and Borussia Dortmund both have five German championships to their name whilst Werder Bremen have lifted the Bundesliga crown on four occasions. The Bundesliga betting odds usually show Bayern as red hot favourites to win the trophy at the beginning of the campaign, and that was no different ahead of 2018/19. As previously mentioned, Bayern Munich were crowned German champions for the 27th time in 2017/18. The Bavarians finished an incredible 21 points clear of their closest rivals, which shows just how dominant Bayern have been in the Bundesliga in recent times. The defending champions will expect to retain their crown this campaign. Meanwhile, Hamburger SV and FC Koln dropped out of Germany’s top flight. Hamburger SV had featured in every single Bundesliga season before the start of 2018/19 but punters will fancy the German giants to win the 2. Bundesliga and bounce back at the first time of asking. Schalke 04, 1899 Hoffenheim and Borussia Dortmund joined Bayern Munich in the top four, thus securing Champions League football for the 2018/19 season. Bayer Leverkusen and RB Leipzig, two of the main contenders the previous campaign, had to settle for Europa League berths. Borussia Dortmund have looked strong at the start of the 2018/19 Bundesliga season and we could see a changing of the guard at the top of the table. Dortmund, now led by Lucien Favre, are 9/10 to topple Bayern Munich in 888sport German Bundesliga betting odds and punters will fancy Dortmund to finish above their old rivals on current form. DFB-Pokal odds suggest that Dortmund can challenge for the cup tournament as well. VfB Stuttgart are currently bottom of the Bundesliga table and 2/1 for direct relegation is an excellent price. The Bundesliga table is starting to take shape and Stuttgart could find themselves cut adrift at the bottom if they continue to struggle. Robert Lewandowski will be right in the mix to win the top goal scorer award this season but Marco Reus may be the man to watch. The Dortmund star has been in fine form as of late and it wouldn’t be a huge surprise to see Reus pip Lewandowski to the coveted individual accolade. Why not check out the 888sport app? Download the latest version of the app and place a bet on upcoming German football – whether that is Bundesliga, 2. Bundesliga or DFB-Pokal.